« Melikov’s Horses to Watch, Jan 2012, cont. Now entering its 10th year, the Sunshine Millions series of stakes races is trying out a new format. This series of six races was originally meant to be a showdown between California and Florida bred horses with the races split between Santa Anita Park and Gulfstream Park. While the first few runnings of the Sunshine Millions program generated much interest – it became clear over time that the Florida bred horses were simply far superior to their competition on the West Coast. The fact that Florida has a more established breeding industry and the experimentation with synthetic surfaces in California simply didn’t provide a fertile ground for even competition. On Saturday, January 28th the new Sunshine Millions format features six stakes races all for Florida bred horses at Gulfstream Park. The headline event will be the Florida Sunshine Millions Classic with a $400,000 purse to be run at 1 1/8 miles for 4-year-olds and up. Combined with the five other supporting stakes for other divisions and the total purse money given away on this big race day will be at $1.3 million. 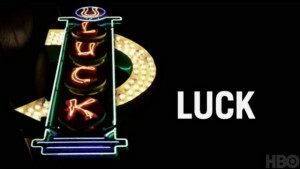 In connection with the new Sunshine Millions program and the upcoming premiere of the HBO horse racing drama Luck starring Dustin Hoffman, a special “Luck Pick Six” will be offered with a $1 minimum bet. Besides the fact that the Luck Pick Six will be packing in a huge amount of action in just over an hour of racing, two other reasons to give this bet a try are the fact that there is a $250,000 guaranteed minimum pool and a mandatory payout meaning even players who go 5 for 6 in the sequence could be in for a nice payday if nobody picks all six races correctly. The one horse that most players will be singling in this sequence is Caracortado who has been assigned morning line odds of 4-5 for the Sensational Star Stakes – a 6 ½ furlong dash at Santa Anita going down the hill. If you can beat the favorite in this race you’ll be set up for a big payday as many tickets will be wiped out if Caracortado doesn’t win. Other options for the Sensational Star include Ain’t No Other, who got up for the show spot in the Morvich Stakes (G3) two starts prior, and Compari who picks up a new jockey in Mike Smith and is a reasonable 5-2 on the morning line. The highlight of the Luck Pick Six is of course the Sunshine Millions Classic for older horses going 1 1/8 of a mile at Gulfstream Park. The likely post time favorite will be Mucho Macho Man who finished third behind Animal Kingdom in the 2011 Kentucky Derby. This well built 4-year-old horse also showed up for the Preakness and Belmont but failed to be much of a factor in those races finishing sixth and seventh respectively. He comes into this race in good form after winning the Risen Star Stakes (G2) at the Fair Grounds. Another likely contender will be the venerable Duke of Mischief from the barn of David Fawkes. This 6-year-old has a ton of stakes experience and finished 2nd in the Sunshine Millions last year, so don’t leave him off your tickets. For expert picks for all of the races on Saturday, January 28th at Gulfstream and Santa Anita simply download the corresponding Winning Ponies’ E-Z Win™ Forms. 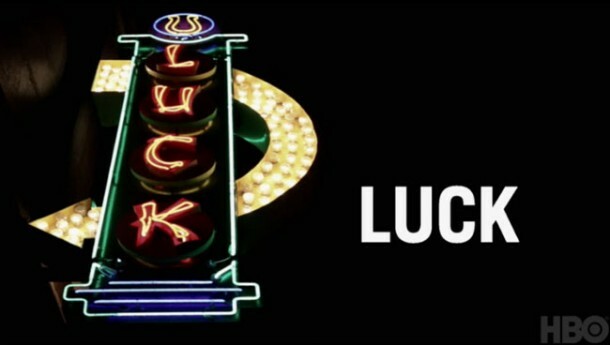 Also don’t forget to tune into the new HBO series Luck which premieres the next day for some great horse racing drama.